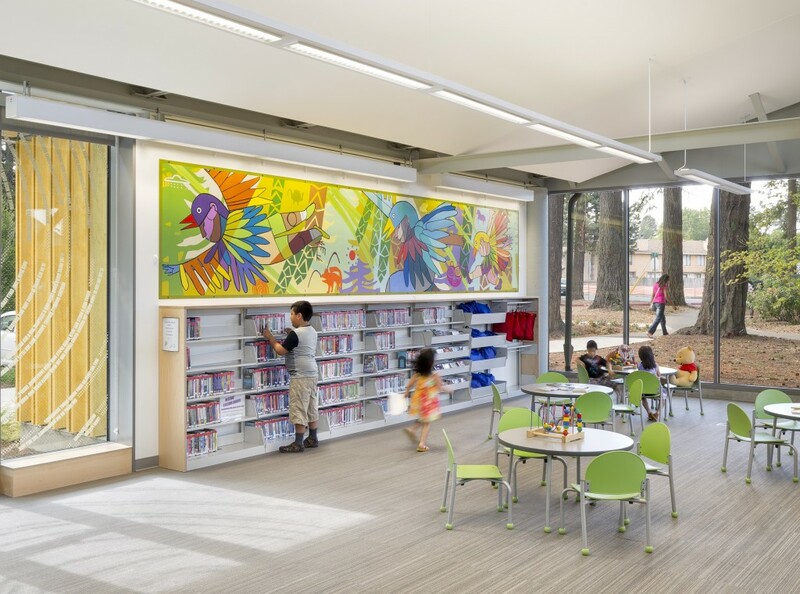 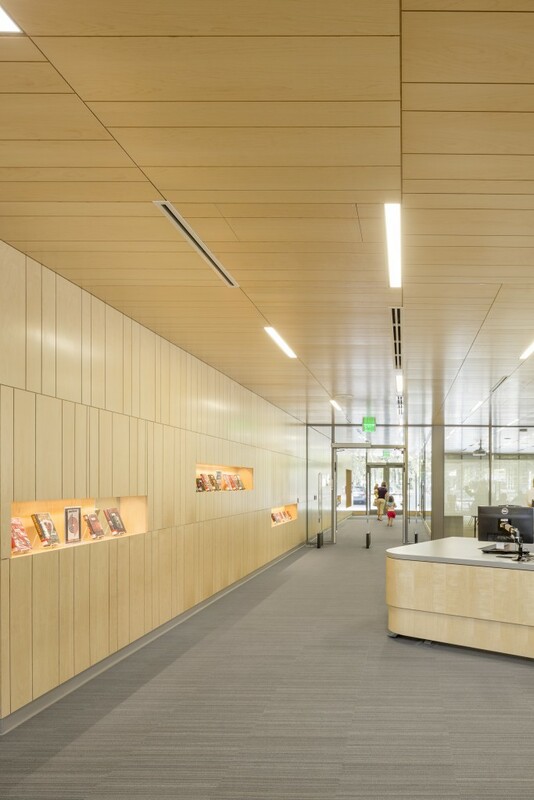 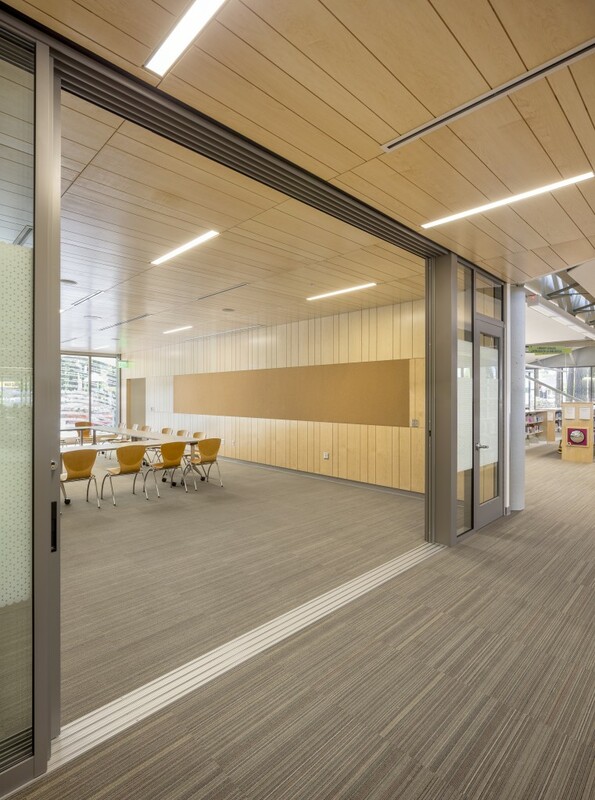 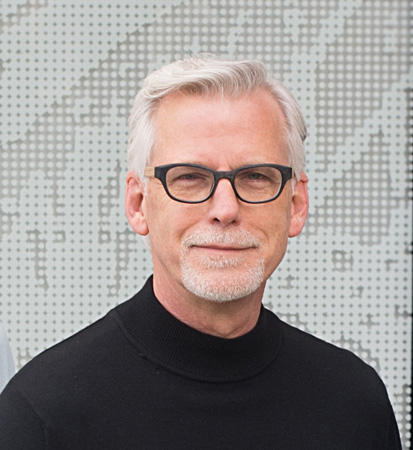 The transformational renovation for Hillsboro’s Shute Park Library began with a total reorganization of the library. 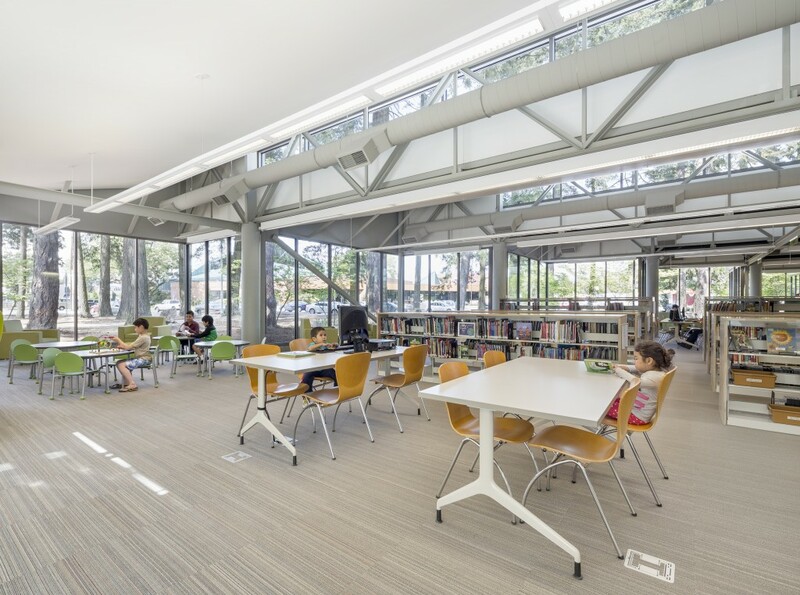 The new floor plan is defined by open seating and low bookstacks that extend the entire length of the library, thereby improving navigation. 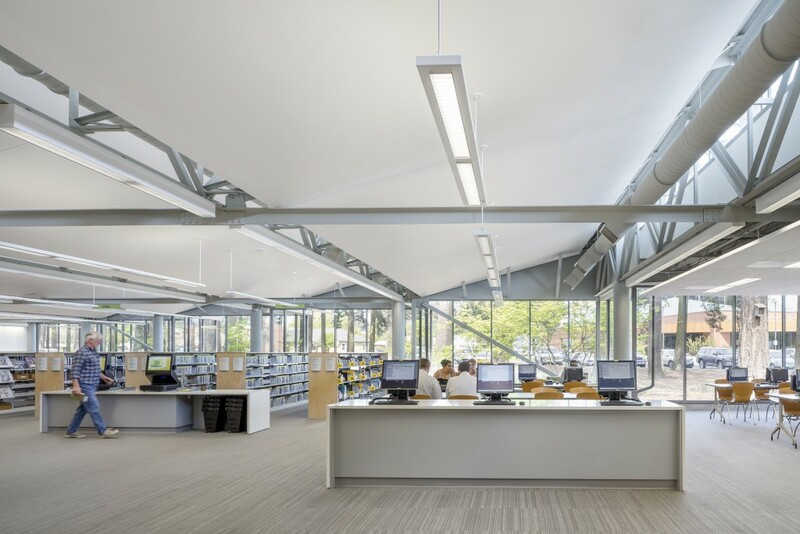 We removed oppressively low-hanging metal HVAC ducts, accentuating high ceilings and clerestory windows, creating a visually open space. 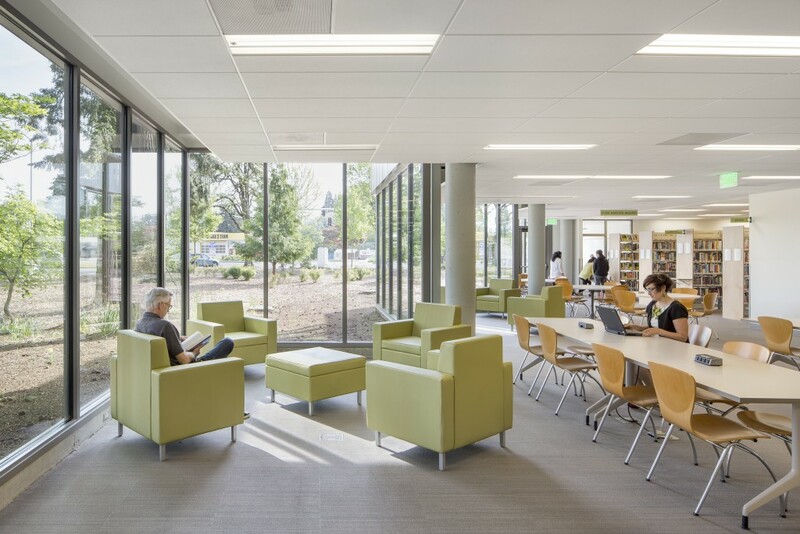 The restored north wall of glass is now visible throughout the library and is home to a variety of seating groups with views of the large stand of fir trees, connecting the library to its surrounding park.